My family and friends love traveling using our timeshares. The units have so much space and a full kitchen, which allows us to feel more at home when we travel. And everyone can stay in the same unit vs. having rooms spread throughout the resort. Here are the best timeshare deals that we’ve been able to find. If you have others to add to the list, please send us the details so we can add them to the list. Timeshares are like hotels. If they don’t fill vacant units, they’re losing money, so they’re often willing to provide awesome deals on properties that are not full. That’s where Endless Vacation Rentals comes in with over 200,000 vacation rentals in over 100 countries to choose from. You can pay cash to use someone else’s timeshare without the hassle or commitment of owning, paying dues, or attending a timeshare presentation. 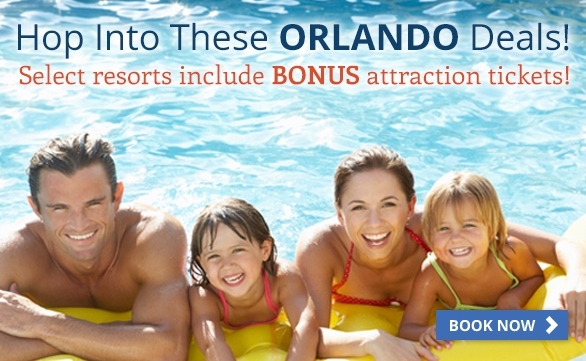 Prices start as low as $59 for these vacation packages! When booking, use our referral link for the best prices. I’m a timeshare owner of Diamond Resorts and their Cabo Azul property is my favorite. The Diamond offer varies from time to time, but they usually put you in nearby property (for example, Embassy Suites SLO when visiting Avila Beach) and you’ll tour a Diamond location for about 90-120 minutes, then you’re free to enjoy the rest of your vacation as normal. Diamond works off of referrals, so please complete the form at the top of this page. I will submit your information and someone from Diamond will reach out to you. I’ve posted about my experiences with the HGVC timeshare offer a few times (Las Vegas 2013 and 2014 and Orlando). The deal works out to $149 + taxes for 4 days and 3 nights in either Las Vegas or Orlando in a studio or one-bedroom unit. Additional nights and larger units are available for a small fee. We’ve had a great time during our visits and the HGVC salespeople are not high pressure, which is a welcome relief from the typical timeshare sales presentations we all hate. I’ve owned Worldmark by Wyndham timeshare credits for a long time. We probably use this timeshare most often since there are so many locations on the West Coast. Visiting Solvang and Indio are two of our favorite weekend road trips to take with friends. With Worldmark, generally you’ll pay a small fee of $149 for a 4-day, 3-night vacation at your choice of Worldmark properties, and after you attend a 90-120 minute presentation, you’ll receive a gift card of $75. Worldmark by Wyndham works off of referrals, so please complete the form at the top of this page. I will submit your information and someone from Worldmark will reach out to you.